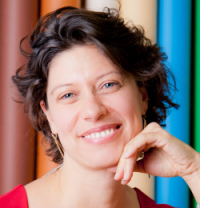 Lara Rosenthal is a licensed acupuncturist and board certified Chinese Herbologist specializing in Women's Health and Fertility. She maintains a private practice in Manhattan and runs the acupuncture and Chinese medicine services at NYU Langone Medical Center's Fertility Center. She enjoys educating both the public and physicians on the uses of Chinese medicine in enhancing fertility and foundation health. Following her deep belief that the fullest health and vitality come from supporting mind, body and spirit, she also trained as a Focusing trainer, yoga teacher, and is a longtime student of meditation in the Vipassana tradition, all of which she incorporates into her thinking and practice. Earlier on, she studied biology and economics at Stanford University and spent three years living in Taiwan, where she became proficient in Mandarin Chinese. In her spare time she enjoys culinary adventures and being in nature.